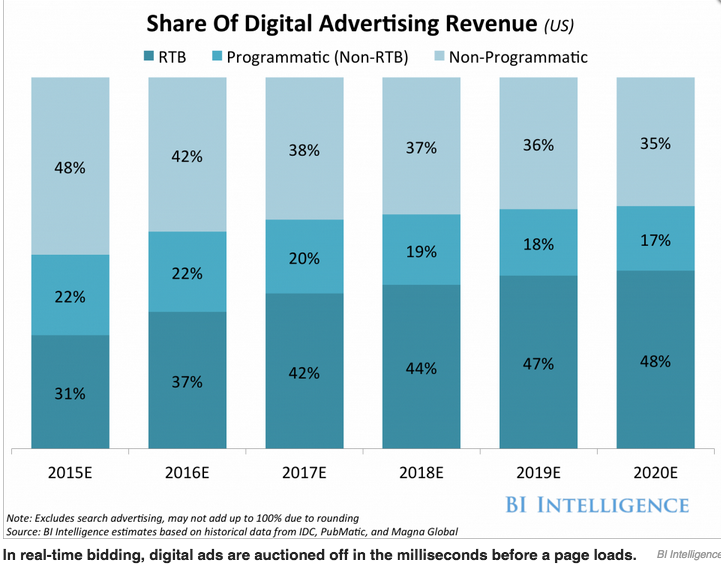 Programmatic has hit the ground running, and continues to pick up speed. According to a recent Business Insider report on programmatic advertising, US programmatic ad revenue is estimated to total $15B this year, with much of that growth championed by mobile and video RTB. This aggressive shift in how our industry buys and sells campaigns has the industry smartening up on the subject. Just a few weeks ago, the IAB produced a programmatic playbook that’s specifically fine-tuned for mobile, and Digiday profiled Starcom’s initiative to train 1,200 employees to ‘speak‘ programmatic. As programmatic becomes more ingratiated with the ways that advertisers and publishers tackle day-to-day business, sophisticated insights from personal experience and advanced projections emerge. Exploring this exciting time together, top leaders and innovators in programmatic’s development head into Austin, Texas to attend Digiday’s Programmatic Summit. Teads will not only proudly attend the summit, but also present. On Thursday, May 14th at 12:05 pm in the Darrell Royal Ballroom, Jason Barnett, Teads’ Head of Programmatic, USA, will participate in a fireside chat about ‘The intersection of TV & Online Video’ with John Toth, Reuters’ Head of Advertising, Americas. For those who cannot make the summit in person, you can live stream the event here. Curious about Teads’ participation in other Digiday events? Check out a recap of Teads’ fireside chat with the Washington Post at this year’s Digiday Publishing Summit in Vail, Colorado.